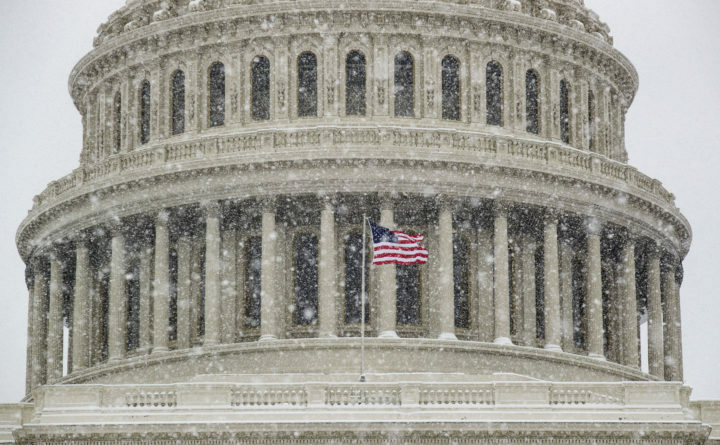 An American flag waves in front of the U.S. Capitol Dome as a winter storm arrives in the region Sunday in Washington. WASHINGTON — Congress returns to Washington for its first full week of legislative business since control of the House reverted to Democrats, but lawmakers will be confronted with the same lingering question: When will the partial government shutdown end? Senate Homeland Security Committee Chairman Ron Johnson, R-Wisconsin, said he’d “hate to see” a declaration issued because the wall wouldn’t get built, presumably because of legal challenges. Democrats voted in the past for border security and should again, he said.